TARA ERRAUGHT, the much acclaimed mezzo soprano, will perform songs by Dvorak, Brahms, Wolf, Copland, Mahler, and Britten, in NUI Galway's Aula Maxima on Wednesday November 4 at 8pm. 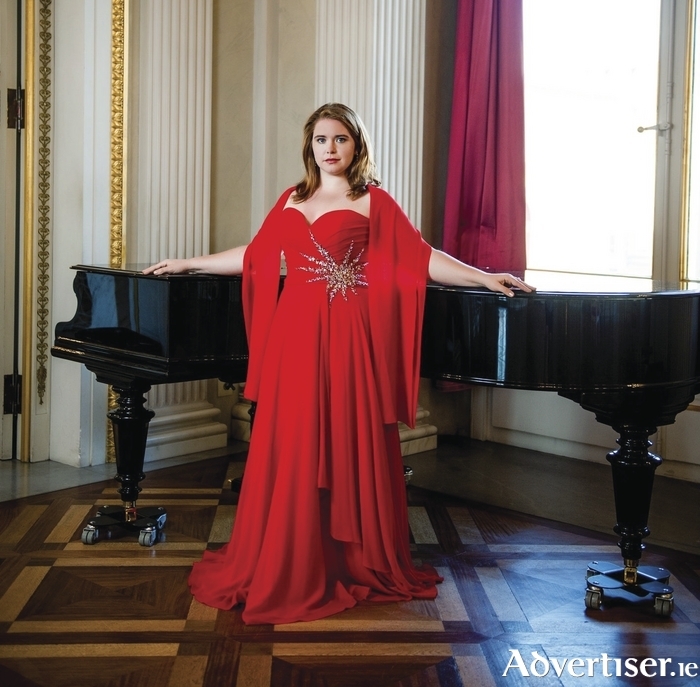 The Dundalk singer, described as “a tremendously appealing and charismatic singer, with a warm voice and a bright future," by The Washington Post, will be joined by pianist Dearbhla Collins, for what will be her Music for Galway debut. A graduate of the Royal Irish Academy of Music in Dublin, Tara's international stature has continued to grow since she stepped in, on five-days’ notice, learning the role of Romeo in Bellini’s I Capuleti e i Montecchi at the 2011 Bayerische Staatsoper, her performance winning worldwide acclaim. In the seasons since, she has sung a world premiere, made her US opera debut, had numerous role debuts, and has successfully toured North America twice. She has been a member of the opera studio at the Bayerische Staatsoper in Munich since 2008 and this year saw her make her debuts with the South Denmark Philharmonic and Ireland’s Wide Open Opera, as well as perform at Dublin’s National Concert Hall and London’s Wigmore Hall. Tickets are €18/14/6 through Music For Galway (091 - 705962, www.musicforgalway.ie ) or Opus II, High Street.